Gov. Kenneth Mapp raised concerns that St. Croix may be losing vital cruise ship traffic with a comment during a press conference Tuesday, but the damage appears to be limited to two ships, and other arrivals remain on schedule. "We had an issue with one of our representatives who I will leave unnamed at the moment at a meeting in Florida that may have caused some serious consternation for one of the cruise lines, and I want to be sure that nothing that occurred at that meeting is a result (sic) of what we’re seeing — this rapid change in cruise destinations to the island of St. Croix," the governor continued. With many more topics under discussion, the comment did not get much attention during the press event and now the governor is out of the territory. Numerous officials, including Government House spokespeople, have referred questions about the matter back to the governor. Calls to the V.I. Department of Tourism seeking clarification were not returned immediately, but Wednesday evening, Tourism issued an unsigned statement saying there were two recent cancellations: one on Sunday and a second on March 13. The Holland America Line cruise line ship MS Rotterdam was originally scheduled for both of those days. A search of the itinerary of the MS Rotterdam indicates it is now scheduled to run several long cruises in Asia over the time frame it had been scheduled to visit St. Croix. 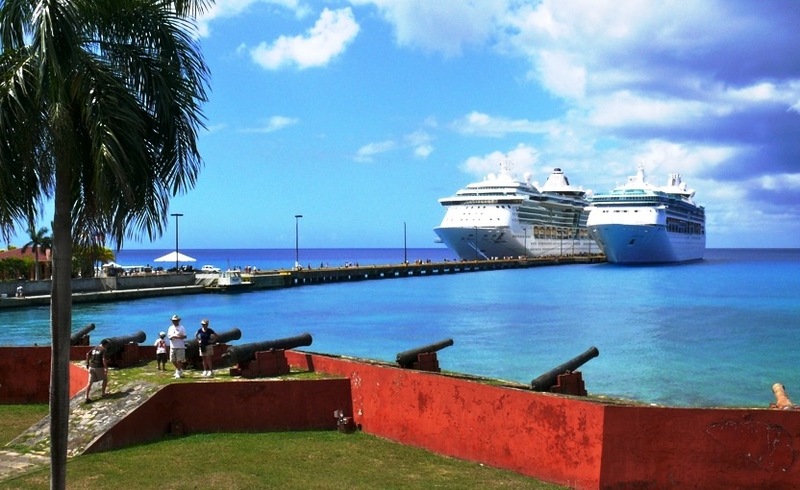 Clouding the issue, a search of other Holland America Line ships scheduled to arrive in St. Croix brought up several outside websites that track the schedules of cruise ships, including those of Holland America Line, that did not list Frederiksted on those ships’ schedules. And a call to Holland America cruise reservations asking for trips stopping at St. Croix turned up no scheduled St. Croix arrivals. "We do not go to St. Croix," said a Holland America Line reservationist who identified herself as Beth. He provided links to Holland America Line itineraries showing the ship MS Maasdam arriving to St. Croix on April 6, and the Rotterdam returning to St. Croix a year from now, in Jan. 2017. And the Holland America Line ship Nieuw Amsterdam is sold out, carrying the annual music Blues Cruise to St. Croix on Jan. 20. St. Croix is still only getting a tiny fraction of the cruise arrivals as St. Thomas and has lost two of its scant 36 scheduled arrivals for 2016. But Mapp’s statement Tuesday that "a number of ships" are "being pulled down off of the schedule," appears, for now, to be an exaggeration. In their statement Wednesday, Tourism officials said they "acknowledge that all cruise calls, particularly to St. Croix, are of critical importance, and establishing the reasons for the calls not being confirmed is important." They also said they "want to make it clear that this does not signal a specific challenge or concern with St. Croix as a cruise destination." At the same time, the department indicated it wanted to communicate to cruise lines that V.I. officials "understand fully the reasons a call may not be confirmed, as well as to make the ports of the Virgin Islands the most attractive in the region." Meanwhile Mapp met with members of the Florida-Caribbean Cruise Association on Wednesday in Miami to discuss this and other matters and has indicated he will schedule meetings with V.I. Port Authority and the West Indian Co. Ltd. – two major cruise dock operators – on his return to the territory.